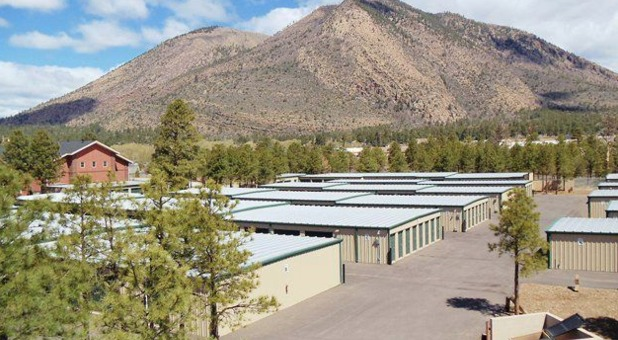 There are several self-storage facilities in Flagstaff, Arizona, but our easy accessibility, convenient hours, affordable units, and secure location is what sets Country Club Self Storage apart from its competitors. We are located off I-40 (Take Exit 201 to Country Club Drive) due North and turn on Nestle Purina Avenue. We’re nestled near the heart of the Country Club neighborhood. Stop by for a tour of our available units that best suit your storage needs. Our friendly staff will be happy to assist you with any questions, including details about the FREE use of our on-site moving truck. We offer a cutting edge security system with an electronic security gate, office manager and digital surveillance. Since we’re next door to the fire department, we feel extra secure. You can feel added peace of mind. We have a knowledgeable storage team here to answer questions and assist you with whatever you need. Our managers excel in customer service and aim to make your storage experience a positive one.